Mansfield’s newest performance venue – Create Theatre – is celebrating achieving a national accolade which highlights that it really is ‘Fantastic for Families’. The theatre, based at West Nottinghamshire College’s Derby Road campus, has become an officially-registered venue for the Family Arts Standards (FAS). 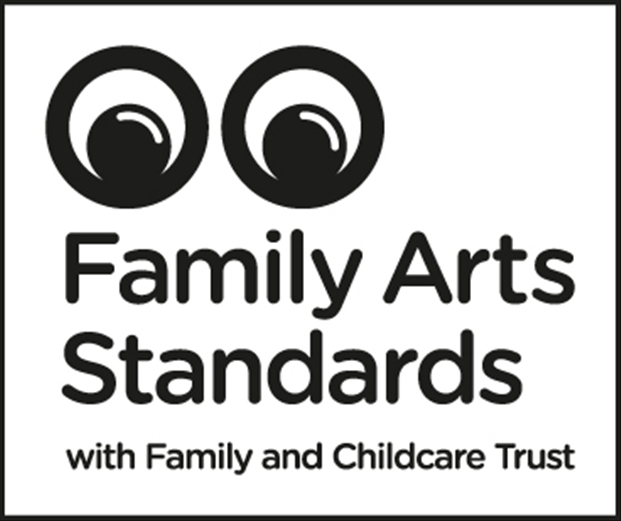 The FAS campaign is a national collaborative led by the visual and performing arts sectors to increase levels of arts engagement by families and is funded by the Arts Council England (ACE). Launched in 2013, FAS is a benchmark for organisations providing an exceptional welcome to families when attending an arts event – covering key areas such as the brochure, how it’s promoted as well as consultation with families and the facilities at the venue. Create Theatre has been awarded the merit for its recent improvements to catering for families at the 150-seat theatre, which includes the launch of a new family theatre season brochure featuring eight new shows aimed at families with young children, improved facilities at the theatre such as free parking and access for children’s buggies. The theatre has also been recognised for its development of children’s activities such as workshops, games and activity sheets as well as the chance to meet characters from some of the shows lined up this season. Theatre co-ordinator Adam Pownall said: “To be recognised under the Family Arts Standards is a huge success for the theatre. Becoming a registered venue is proof that we’re catering for all the family not just with the performances on offer but through the services we provide as part of the theatre experience.